Cultivating an online identity is crucial, whether you are a blogger, business owner, or are just trying to build an online store to sell some of your homemade goods. Option #1: Hands Off ($$$$) – You can invest in hiring a professional web designer and developer to build the website for you, a better alternative is to use an online website builder. Option #2: Hands On with WordPress (Intermediate to Advanced) – You can sign up for normal web hosting and set up WordPress, which you can use to blog, sell things online, generate leads… basically anything you can imagine can be done with WordPress. WordPress is free. Many great plugins are also free. So your only investment would be in hosting and the time you spend learning to use WordPress and build a site with it. 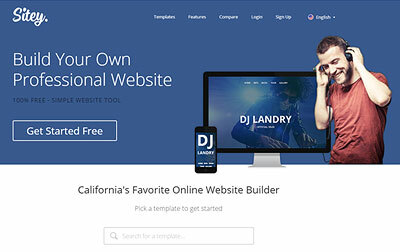 Option #3: Hands On With Website Builder (Recommended For Absolute Beginners) – You can use a website builder which doesn’t require any technical knowledge. Website builders are often drag-and-drop, and what you see on the screen when you’re playing around with it is exactly what your website looks like live, so there’s no confusion and messing around trying to get things right. In case you choose Option 2 (WordPress), WebHostingPlanGuide has reviews of many top web hosts such as eHost.com, BlueHost and iPage which are are optimized for WordPress and have automatic installation. You probably arrived at this page because you want to know which website builder is the best option for your needs. Let’s review Sitey. Before you register for Sitey, below is an overview of the website building tool and all of the features that you can expect so that you can determine if it comports with your needs. When you create a website, one of the most important features is a unique and personalized template for your website. As a website owner who may be selling a product, service, or presenting a blog, you want to make sure that your readers are presented with something unique and interesting. Sitey meets the needs of its users by providing hundreds of personalized website designs for your site. Each template is unique and is designed with an end-user in mind. 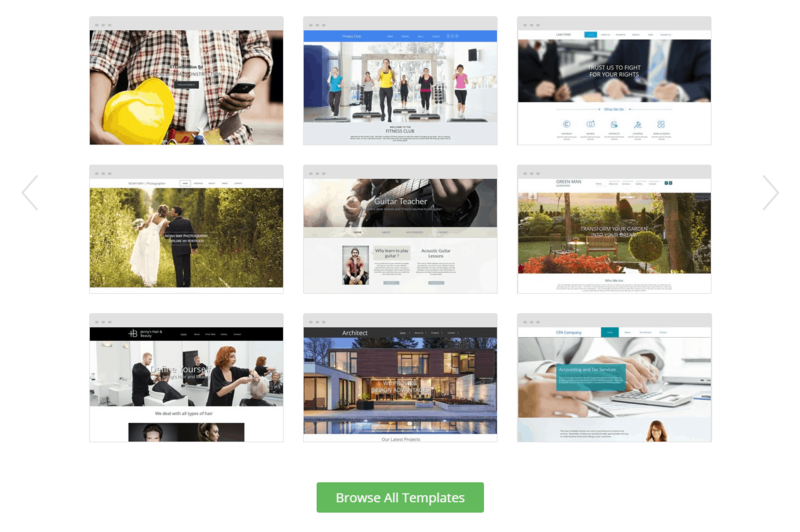 With Sitey’s end-user specific templates, you can quickly choose the web design that you are looking for, making the process efficient and extremely easy. All Templates are Optimized: Website optimization has become a focus lately among website owners, and Sitey works to meet user’s needs in this respect too.No matter which website template you choose, you can be certain that it will work flawlessly on a tablet or mobile device. Websites on Sitey work on a range of different tablets and they are also configured to work well with both iOS and Android systems.So, no matter what type of software your end-user is using, you can be certain that your Sitey website is going to be compatible with the technology that your user has. Drag and Drop Editor: Another feature that Sitey’s personalized website designs have is that they all include what is known as a “drop and drag” editor.This editor makes it very easy for anyone to make a great-looking website that just works out of the box, without having to mess with code or advanced settings. Ultimately, when it comes to Sitey’s personalized designs, you’ll notice that not only are they easy to use, efficient, and user-friendly, but they keep you as the user in mind so that you get the most out of the product. Generally, domain names can cost about $10-$20 dollars per year – unless you use Sitey. With Sitey, you have access to a free domain provided by Sitey. The domain is a custom domain and it also comes with a corresponding email, so you can keep your website organized. In addition, the free domain name is not regulated to a single or specific pricing plan. 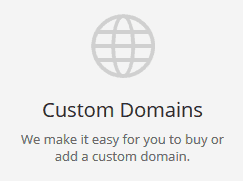 This feature cuts across all plans, so whichever you choose, you can still expect a free domain name from Sitey. In addition to covering users when it comes to the domain name, Sitey also provides its users with a web hosting service. A web hosting service is the infrastructure where your website is published. However, Sitey has set itself apart by providing a web hosting service for its users for free. This means that the website you build on Sitey is stored in a high-powered web server that is attached to an extremely fast network. Every time a user searches your page, you can feel confident that your website has a quick loading time and that the webpage itself is viewable, clear, and neat. At this point, there have been no reported incidents of Sitey’s hosting faltering, making it a highly reliable option if you’re looking for a website builder that is going to provide you with consistent quality and service. If you’re new to the process of building your own website and everything that it entails, then you are going to love this feature. With a website in place, you need to optimize your website with keywords that you use in your content, whether it is the full text, headlines, or text headers. While some website builders make it difficult to incorporate keywords or are not Google friendly, Sitey has done a pretty good job at providing its users with keyword friendly features. The website builder allows you to easily add keywords, which means that when users search on the web, your website can be easily found among the competition and others. There is no kind of technology that is one-hundred percent perfect. No matter what, at some point the technology that you use is going to falter. While any issues that Sitey has are highly sporadic and very few and far in between, there may come a point where you need technical support. Whether you are having technical problems or simply need help with using Sitey’s tools, Sitey provides all of its customers with excellent 24/7 support. The support team is available to answer all of your questions and the best part is – you don’t need to wait hours in order to reach them. Sitey is quick in its level of response and those that work for the support time are highly versed in the technology and system, so you can get the quality service that you need when calling or chatting with the team. The 24/7, around the clock support is perhaps one of Sitey’s best features. There are few web builders that can provide users with the reliability and quality service that Sitey has implemented when it comes to technical support. Therefore, if you think you’ll need the extra help when using Sitey, then this is a feature that you should certainly keep in mind. Google Analytics is one of the most powerful analytical tools out there that allows you to analyze and monitor the traffic that filters through your website. Taking it a step further, the analytics presents you with information about the location of your visitors, how the visitors found your website, the type of browser the visitors use, and which keywords they may have searched in Google’s search engine. That being said, if you’re going to build a website, then having a company that works well with Google analytics is key. Fortunately, Sitey’s compatibility with Google analytics is another reason to choose this web building service. 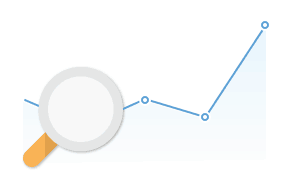 When you create a website using Sitey, you’ll have access to Google analytics. The Google analytics allows you to gain a wholesome and in-depth understanding of your website’s visitor so that you know how to further your brand, blog, or the product that you are selling. 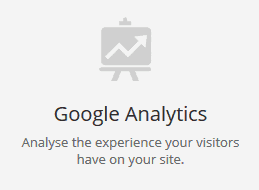 Not all web building services work well with Google analytics, so this is certainly a noteworthy feature. With this feature, you’ll certainly be able to stay on top of your website and tweak it for success. By using your website on Sitey to build a social media presence, you can be confident that traffic will run through the site that you’ve built on Sitey. In addition, you can use Sitey’s Google Analytics feature to determine how many of your visitors came from social media platforms. With this feature, you’ll find that the opportunity for growth is endless. Some web design services truly make it difficult and time consuming for users to build a website. Sitey has transformed the mold by creating a system that makes it extremely easy for users to reach their end goal. For example, another noteworthy feature of Sitey is that it provides users with an extensive image library. All images within the image library are categorized and professional, which means that you can get a clean and high-quality look for your website. In addition, there is nothing better than not needing to spend time taking your own photographs or searching the web for images. Sitey has successfully integrated this feature in order to save you time and hassle. The possibilities with Sitey are endless. In addition to the above features, Sitey also allows you to create a fully customized blog on the website. This way, you can attract more users and ensure that your viewers are engaged in the website that you are working steadfast on. In addition, the blog developed on your Sitey website can be placed on social media platforms and other websites, meaning you’ll gain more viewers on your Sitey website. Once you’ve outgrown your free Sitey account, the next level up is the starter package, which comes with three different upgrades at different price points. They no longer show ads on your site. You have 100% control. On the other hand, with the pro package, you receive a free domain, free hosting, free ad credits, you can remove ads, you get SEO help, and the site is mobile optimized. Plus: You get SEO help, and the site is mobile optimized. Having a mobile optimized site is really important. I feel I should let you know that eHost offers a great website builder for under $10/month and you don’t have to pay for an upgrade to make your site mobile-optimized. eHost’s site builder templates are all mobile-optimized out of the box. Lastly, if you have an e-commerce website and are looking for very advanced features, then the top package is what you’d need. With the top package, you get everything from the Pro Package, plus free professional email addresses, priority support, and you can even take payments through your site. Lets compare some of Sitey’s features to eHost and HostGator. Also check out the coupons or special discount they offer. If there is one negative point to this service, is that it isn’t completely free. But the good news is, with Sitey, you can start with a free plan and then upgrade to any of the packages mentioned above. As a result, you’ll get to try out the service and decide if you want to make the final investment. In addition, Sitey not only is regarded as a quality web building service for this review, but it is also well-regarded in the industry. Many users have heralded Sitey as the type of web design service that provides end-users with all the features that they could possibly need. Lastly and most importantly, Sitey is the type of web building service that anyone can work with. There are some services out there that make it a challenge or that require expertise, however with Sitey, essentially anyone can look through the template, drag and drop their site, sign up for service, and use the plethora of features that are available. With this high-quality and simplified user experiences, everyone who is looking to build a website – can. The accessibility, unique features, support, and quality is the ultimate beauty of Sitey, and that’s why we can rate it 4/5 stars among website builders we have reviewed. Add me to the list of people that have been SCAMMED BY SITEY (Maybe I should get that domain for our Class-Action Lawsuit) ScammedBySitey.com has a nice ring to it! Absolutely the worst most horrible customer service. Don’t do anything to help resolve your issues and just want your money! Complete scam and the worst website builder that charges 5 times that of other reputable sites. Save your money and go elsewhere! CRAP! I don’t recommend Sitey. Website is slow and glitchy, SEO isn’t available to do on your own, and customer support is useless, often don’t even respond, and I have one of the better paid accounts. It seems as if they are slowing down the site, offering crappy service, and blocking your site from search engines just so you can pay for each additional add on. A basic website with no ads, a custom domain name, with no add ons, and an ecommerce page runs you close to $300 a year so it’s not even cheap either. I have a Wix page as well and I have had better luck with them. I didn’t even get chance to become a paying customer! Okay so after signing up I received an email from account manager Owen claiming to be my first point of contact so I sent him a friendly email to enquire more about whether they have specific features to suit my needs. I then received an automated email pretty much saying email help is for paying customers and free account holders can check out the help articles?!?!? Yeah, it seems they are trying to do modern-style proactive customer onboarding/outreach, but they shoot themselves in the foot with automated replies like that. I am currently using Sitey and I love it 🙂 I also loved your blog as I found it informative. I am struggling with one element of my page. I want to place a search bar into the page. One that allows people to search for certain jobs, or search for items on the page. Do you by any chance know how to do this. I have been looking for some time now. Hi Jonathan, thanks for contributing great questions here. Though I cannot answer this specific question myself, we are working on a “how to make a website with Sitey” video tutorial which would cover all the basics of setting up a site. Maybe 2 months later we will have that done since it’s just me and a couple other bloggers working on WHPG. Are you trying to make a job marketplace? I am having difficulty finding a web hosting company with military template themes. Any suggestions?